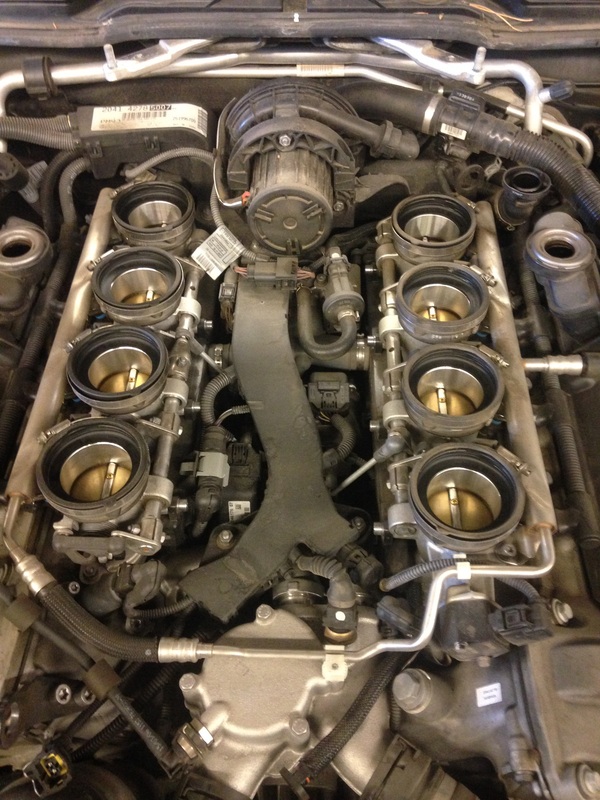 M3 2008 V8 with the intake plenum removed,,,,car had idle actuator and bank 1 throttle actuator faulty,,,,I told the customer we should also replace bank2 throttle actuator but he declined,,,,I know he will be back ,,,,paying us again to replace bank 2 throttle actuator,,,,,I know it’s a lot of money,,,,but I’m trying to save him money in the long run,,,,I don’t know how many of these throttle actuators I have seen go bad. 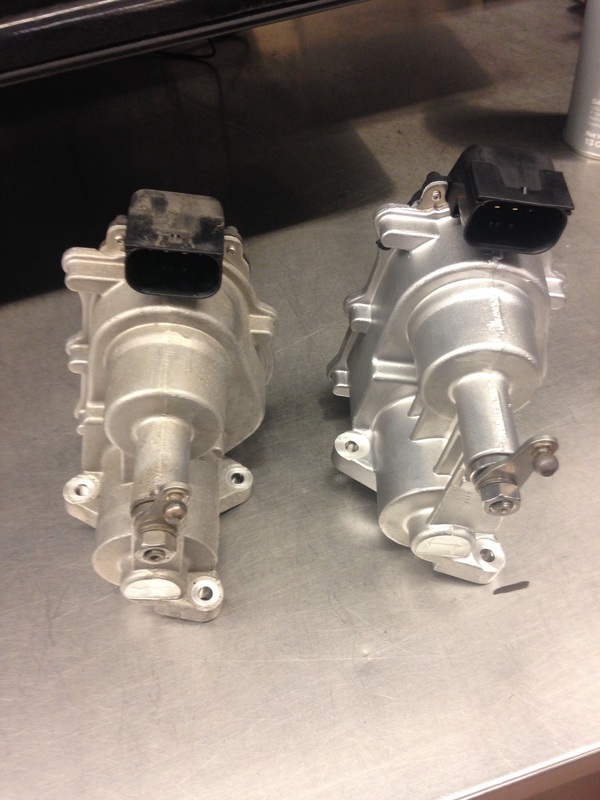 Here are the two throttle actuators with the throttle rod hooked up,,,,bank 1 and bank 2 throttle actuator are the same part numbers,,,,you can switch them with no problems it won’t hurt anything. 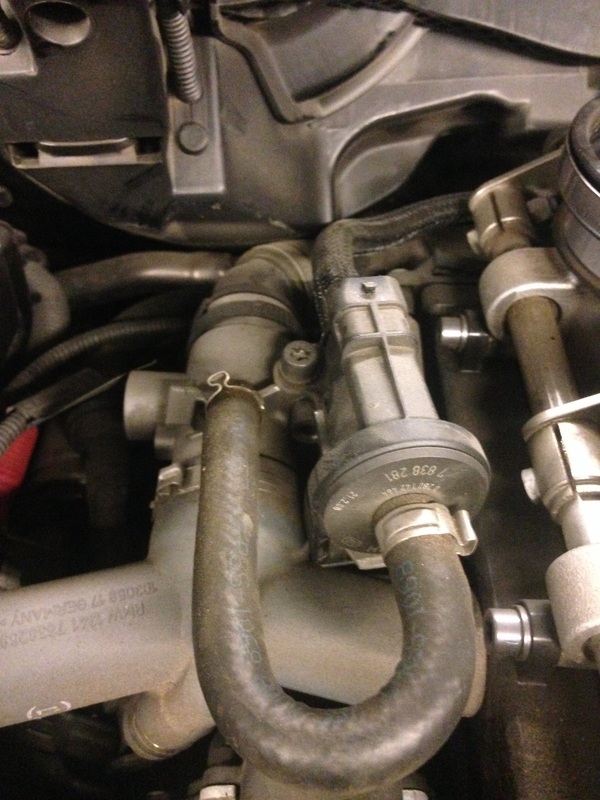 The idle actuator is under this valve,,,,the gray 3 piece hose is attached to the idle actuator. Here the new and the old idle actuator,,,,the one on the left is the old with the air hose still attached,,,,you will need new hose clamps when you swap over the air hose. 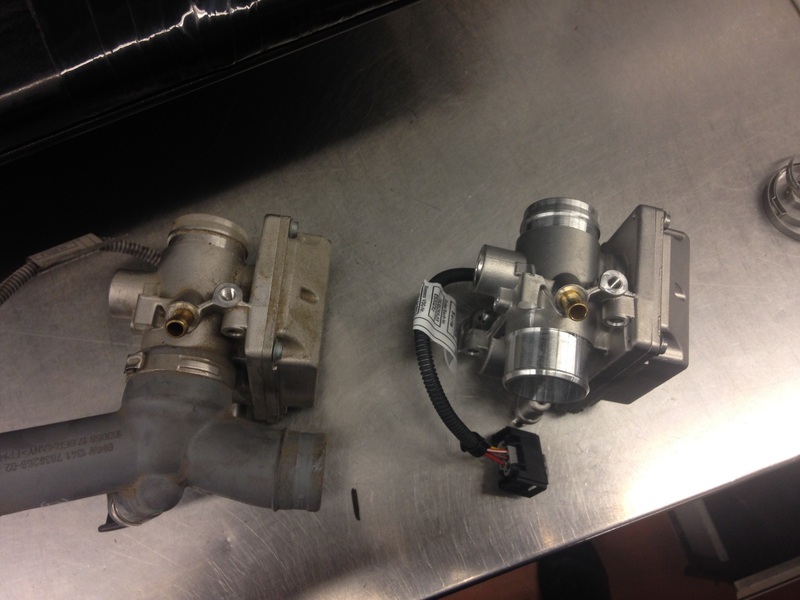 Here is the old and new throttle actuator,,,,when you replace them you do a throttle test to make sure it opens up properly. 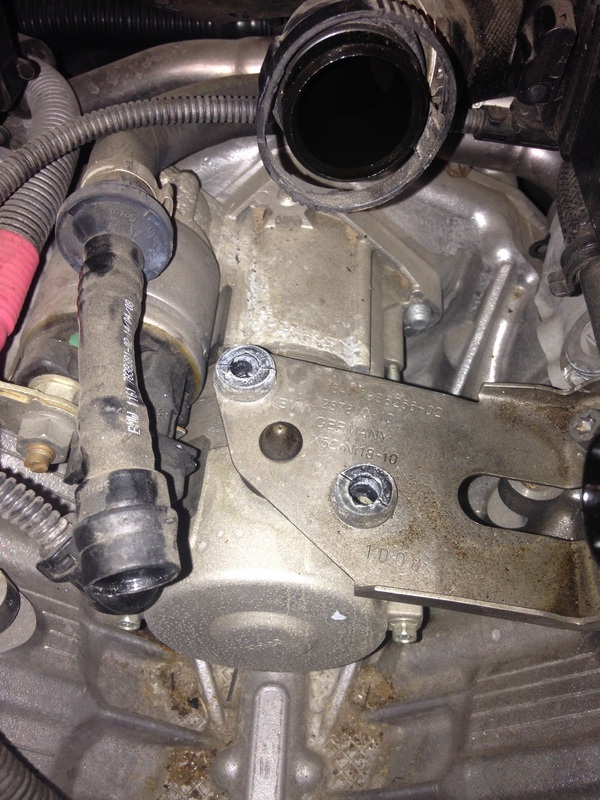 Once you have the idle actuator you can now see the starter motor,,,,so if you ever have to replace the starter motor you have to remove both throttle actuator and idle actuator to gain access to the starter motor. 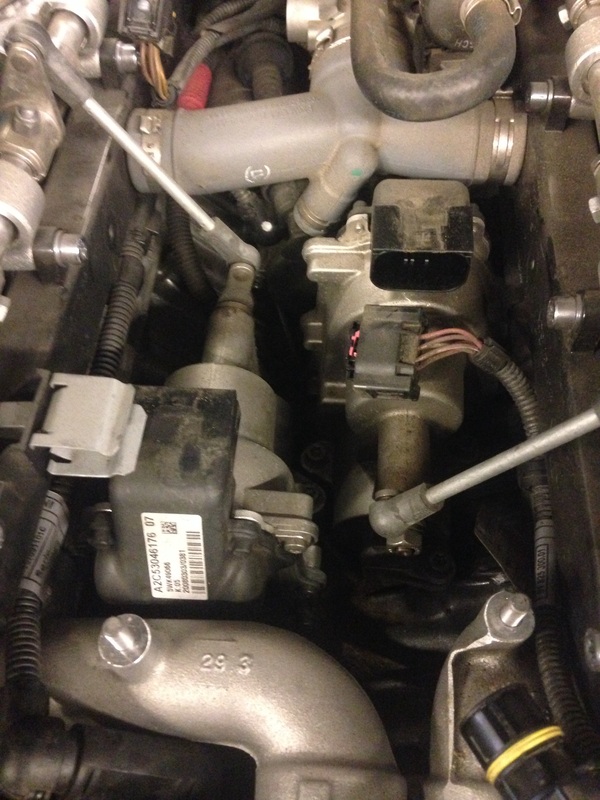 This entry was posted in Uncategorized and tagged BMW V8, Idle actuator, throttle actuator. Bookmark the permalink. gota question how BMW monitors /controls their suppliers..?? Takata supplied a lot of differs cars and they all have the same recall for the airbag.